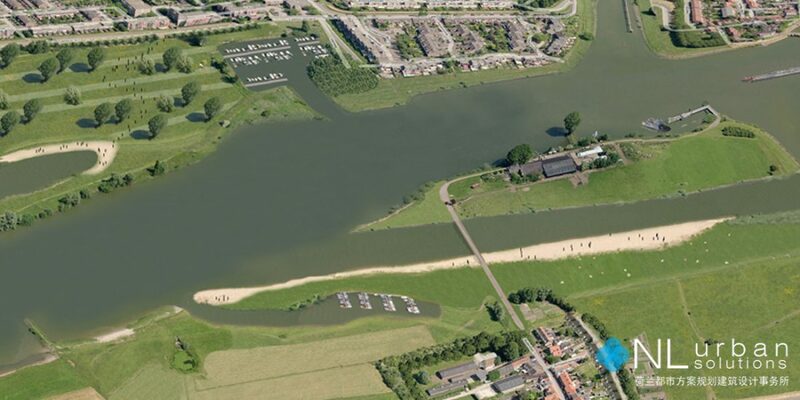 The Cattenbroekerplas, originally dug as a source of sand for the creation of the nearby highway A12, is currently used to recreate. The development of a new neighborhood means the lake needs a new beach site, along with recreational facilities. The design consists of an embankment that blocks the negative influences of the nearby highway, a building to house the recreational facilities with a terrace towards the water, a beach site with a lawn, an event area and the necessary car and bicycle parking facilities on the southern bank of the lake. The eastern bank is transformed into an ecological zone of water and reedland.